Gauges are piercings that involve stretching the ear hole with tapers, which are pointed cones with a thin tip that extend to a fat end. Over time, the ear hole is slowly stretched open until the desired size is achieved. Gauged piercings have been around for thousands of years. 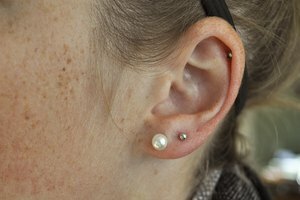 Although this type of piercing is regularly done, removing the gauge is not as easy as removing a standard earring. Removing a gauge will result in a large, empty hole in your earlobe. 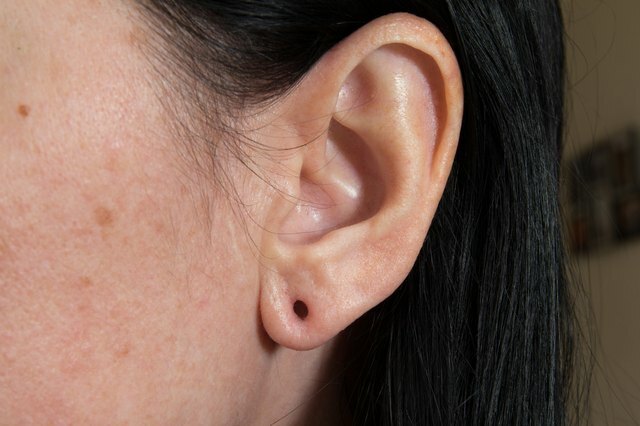 Shrink these holes when you are ready to permanently remove your ear gauges. 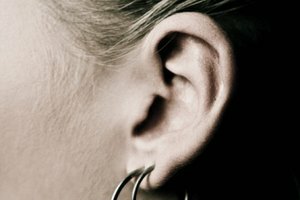 Push the gauged earrings out of your ear holes carefully. Take care not to pull or tug on the earrings. Clean the inside of the gauge holes with warm water and antibacterial soap. Rinse the skin thoroughly to remove any soap residue. Dry your earlobes gently, and do not put the gauges back in for several weeks. Your skinï¿½? ?s elasticity will begin to shrink the ear holes naturally. Apply a small amount hemorrhoid cream, following the instructions on the packaging, to the ear holes every few days. This will help shrink the ear holes. Regularly clean the ear holes with antibacterial soap. Over time, the ear holes will shrink. Every person is different when it comes to rates of healing. Also, different sizes of gauges will take more or less time to heal and shrink. 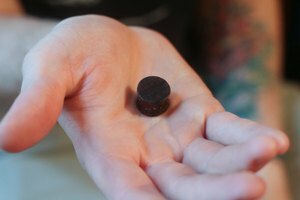 Although there is no exact size that will not shrink back, OneTribe says that two-gauge holes are typically the ï¿½? ?point of no return.ï¿½?ï¿½ rnEar holes that have been punched out or cut out with a scalpel will need to be stitched by a medical professional to close the holes.